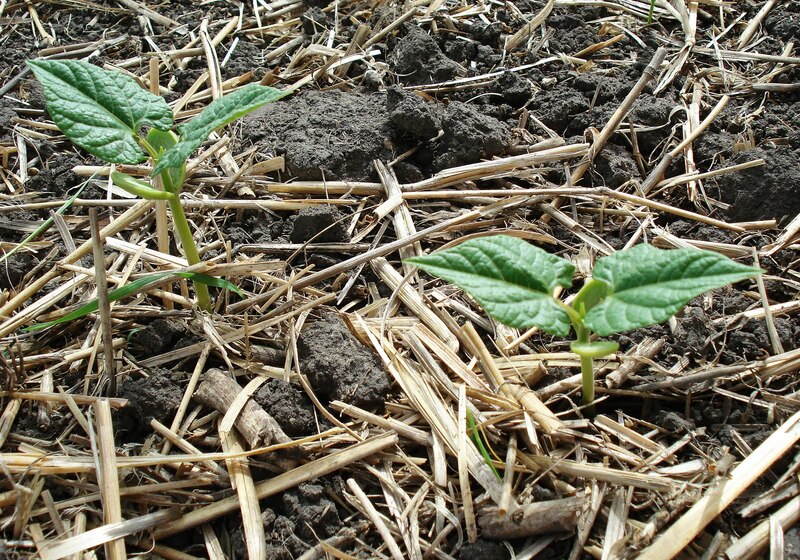 Above: The AdFarm pinto beans have sprouted and are growing into productive plants. The tender plants are brave in the big, harsh world. 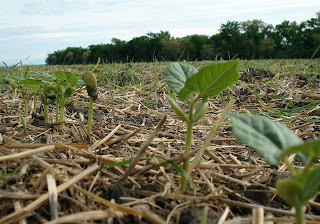 Above: The pinto bean plants are growing in their row. 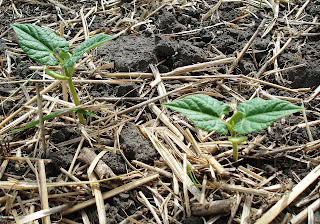 The wheat stubble on the ground will decompose by harvest, adding nutrients to the soil as it breaks down. Enlarge the photo to see the volunteer wheat. 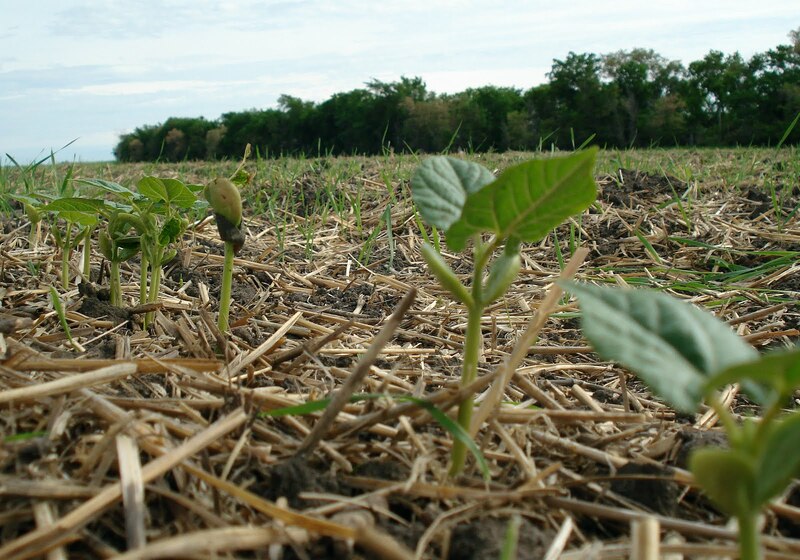 In this case, the wheat is a weed and will be controlled once the beans are more established.